Home > About Diabetes > Children and Type 2 Diabetes: What’s New? 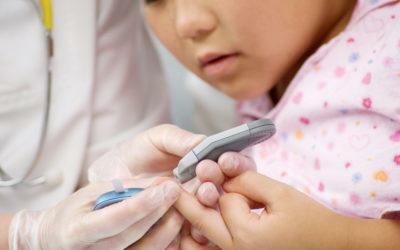 Children and Type 2 Diabetes: What’s New? No one likes hearing that they can’t have something, especially the foods they love. Children with Type 2 diabetes have an especially complicated relationship with food. Type 2 diabetes is becoming more common; more than 80% of all children and teens with Type 2 diabetes are overweight, and about 40% are clinically obese. Because weight is a contributing factor to Type 2 diabetes, it is important to look for new ways to help children control their weight and to understand which new medical treatments are available. While children have little control over the foods in their environment, some new practices can help them choose healthier foods and eat mindfully. Some new devices and medicines also may potentially help control children and teens’ glucose levels. It is important to remember that it will most likely be a combination of interventions that will help your child learn to live with the disease and become healthier over time. 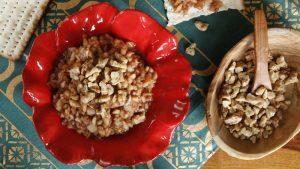 One practice that is gaining popularity is called mindful eating or eating with intention. A recent study has showed that when parents restrict food to promote healthier behaviors, it will work in the short-term. However, in the long-term, restrictive eating has proved to be harmful. Children who have restricted diets are at risk for increased eating when they are not hungry, not learning how to self-regulate and trust their body’s signals, thus causing weight gain. The approach to mindful eating is to help the child create a dialog of kindness with his or her own body. Instead of focusing on hunger as a need to eat food, there are ways to teach your child to become aware of what kind of hunger he or she is experiencing. For example, are they really just bored and hungry for something to do? Are they hungry for love and attention and in need of a hug? Are they hungry because they are sad and really need to talk about what is bothering them? Helping children identify the kind of hunger they feel will lead them to understand when they are genuinely hungry for food. In addition to mindful eating practices, to help children enjoy their mealtimes and focus on what they can eat instead of what they can’t, doctors and researchers are working to help make diabetes self-management easier with new treatments and devices. One new device is an insulin pump that can be programmed to deliver insulin throughout the day. Like a pancreas, the insulin pump continuously delivers tiny doses of insulin to your child’s body, replacing routine insulin injections. Insulin pumps are not implanted in your child’s body. They are small enough to fit in a pocket or on a waistband. Another benefit of an insulin pump is the flexibility it affords in terms of when and what kids eat. However, a healthy diet is still important to help your child avoid gaining weight and maintaining glucose control. There are new medications for Type 2 diabetes as well. There’s no magic pill yet, but soon children and teens have more options to help control their blood sugar levels. A promising new medicine is being studied in adults that helps the kidneys move extra sugar out. Instead of helping your body make insulin, which is what most Type 2 diabetes medicines do, this new medicine helps the body urinate out the extra sugars instead. The new medicines focus on the kidneys. Proteins called sodium-glucose transporters (SGLTs) help your kidneys keep glucose in your blood instead of your urine. However, with Type 2 diabetes, if your blood sugar level is rising, you don’t need the glucose in your body. Pills known as SGLT2 inhibitors turn off one of those proteins so that you pee it out instead. The drugs are canagliflozin (brand name Invokana), dapagliflozin (Farxiga), and empagliflozin (Jardiance). There are some risks with these new drugs, and they are not quite ready to be used in children and teens. The upside is that these medicines have some extra benefits. For example, they wash out salts, which can help people with diabetes manage their blood pressure as well. One downside is that because there is more sugar in the genital area from peeing out the drugs, women are getting yeast infections and uncircumcised men are prone to foreskin infections. Another issue in taking SGLT2 inhibitors is that people with Type 2 diabetes run the risk of developing ketoacidosis, a condition in which the body produces high levels of blood acids and which may require hospitalization. Another side effect of canagliflozin is reduced bone density in some patients, which puts them at risk for fractures. For adolescents and children with Type 2 diabetes, insulin and metformin are still the most commonly prescribed treatments. The majority of insulins used by adults with Type 2 diabetes are also OK for children and teens to use. However, the only non-insulin medication approved for youth is metformin. A report published online in the journal Diabetes Care indicates that researchers are having a difficult time finding new treatments for children because studies on children have unique challenges, and there has been a lack of coordination among the agencies that fund studies to prioritize treatment needs. One study indicated that their challenge was that only about 39% of kids with Type 2 diabetes live with both parents. This made it difficult to coordinate the child’s time in the study as well as develop consistency with treatment. These challenges will directly affect when new and promising treatments are available to parents and children. In addition to treatment research, some researchers are testing ways to prevent diabetes. For example, scientists are studying whether diabetes can be prevented in those who may have inherited an increased risk for the disease. While parents and children wait for the release of new treatments for Type 2 diabetes, it is important to remember that scientists, doctors, and devices can’t do for children and teens what their caregivers can, which is to be their everyday advocate by giving them encouragement and compassion and making sure they eat properly, exercise, and stay on top of glucose levels every day. This will help kids continue to be kids despite diabetes and help them grow up with a sense of well-being and happiness. JoAnn Stevelos, MS, MPH, is a public health professional and health writer. She is director of research and evaluation for the Alliance for a Healthier Generation Healthy Schools Program. This article does not necessarily reflect the views of the Alliance for a Healthier Generation.